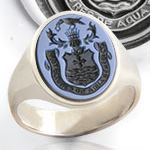 Engraving Styles: Seal, Show or Elevated Signet Ring? 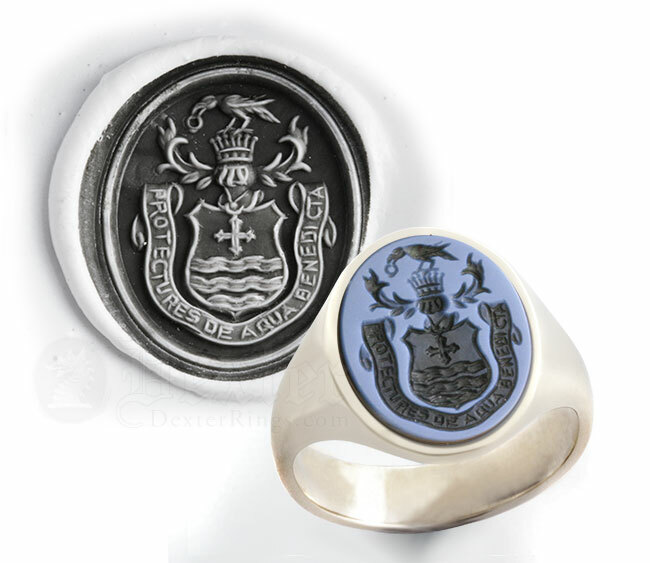 At Dexter Rings all our products are heirloom quality; individually deep engraved signet rings and other items of jewellery including pendants, charms, cufflinks and desk seals can all be engraved in any one of one of our 3 styles. 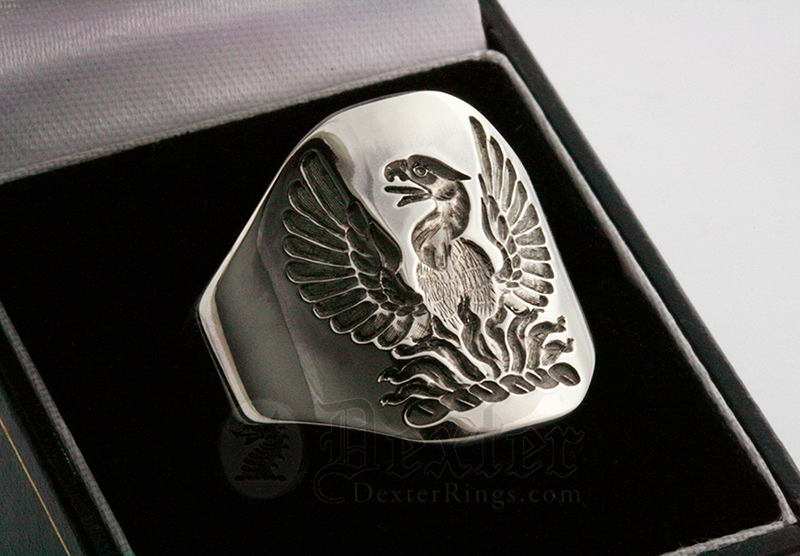 Each Dexter ring is carved to produce a deep 3 dimensional image of your chosen design. 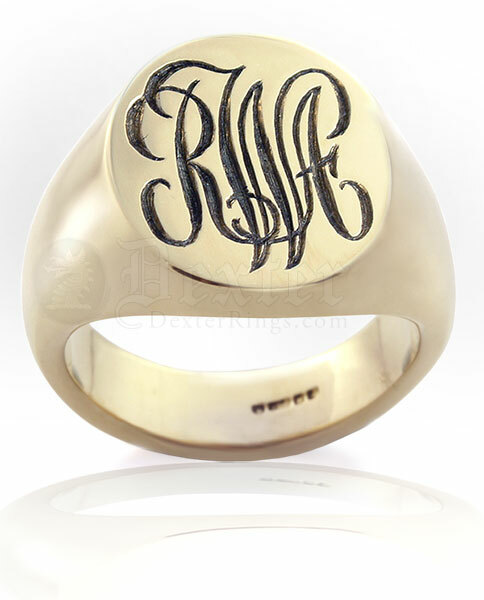 No matter the engraving style every ring is unique, relying on the experience and artistry of the master engraver concerned in its making. 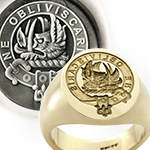 These engraved rings are engraved traditionally in reverse; to produce a positive 3D wax impression - We supply a wax impression taken from the actual ring with each of our seal engraved rings. 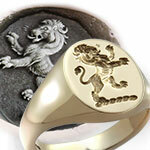 Products are still deeply engraved, but for show only - so not engraved in reverse! 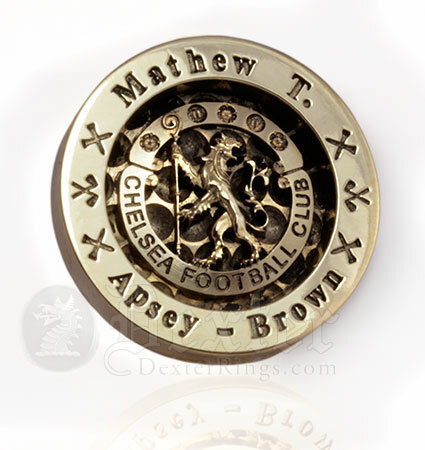 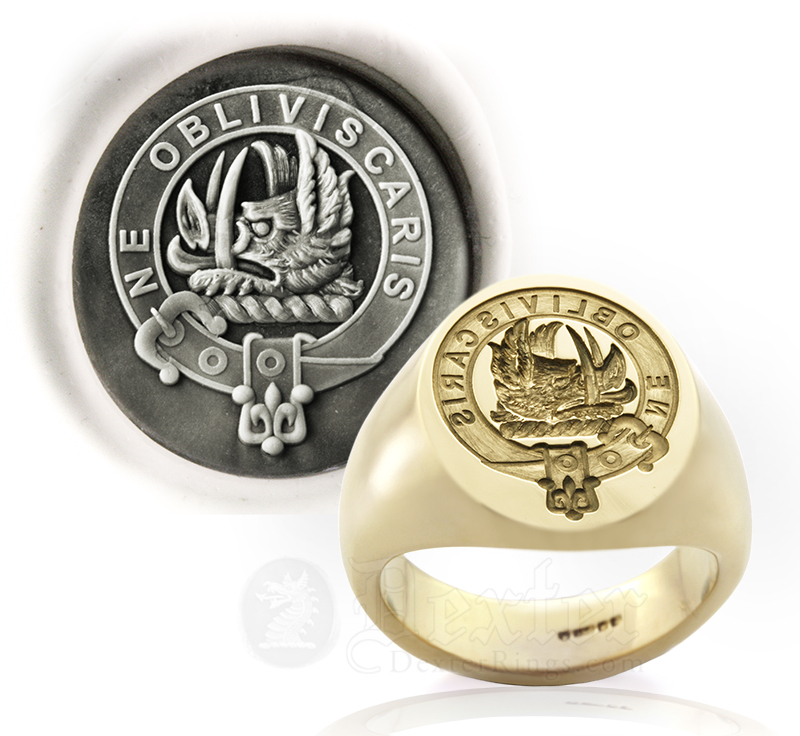 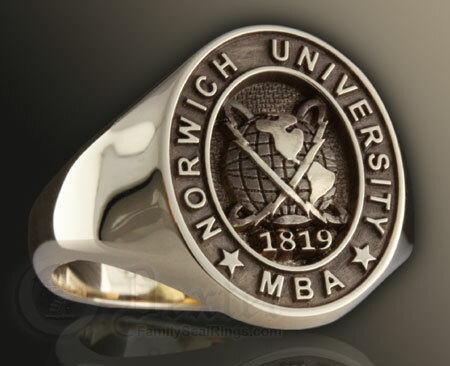 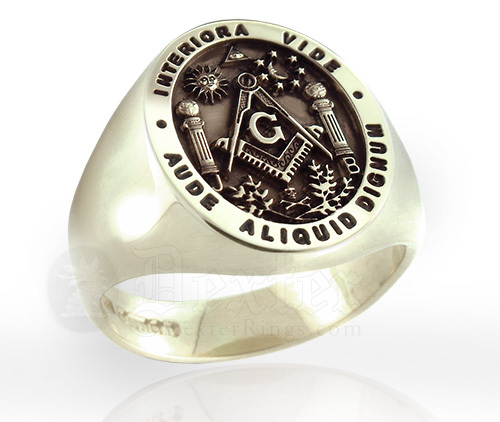 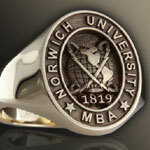 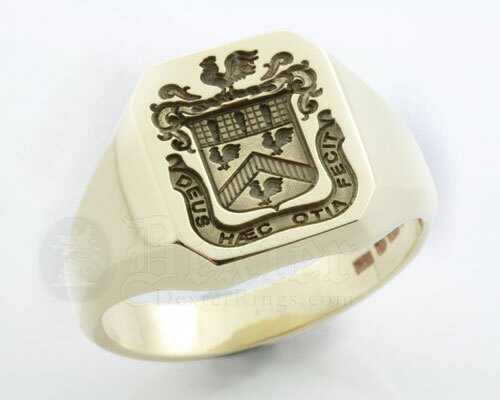 - Although this is not a seal ring we still supply a wax impression to highlight the intricate detail of the engraving. 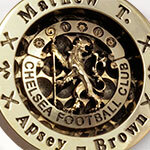 This Alternative engraving style produces a stunning contemporary effect. 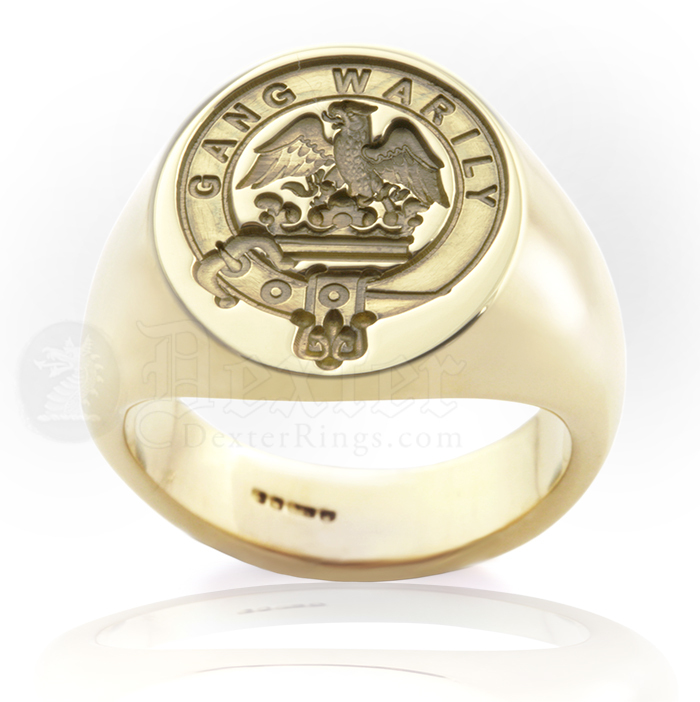 Unlike inferior products our elevated style ring is deep engraved from one solid piece of precious metal. 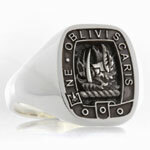 Thus providing a quality appearance and feel, providing longevity of wear. 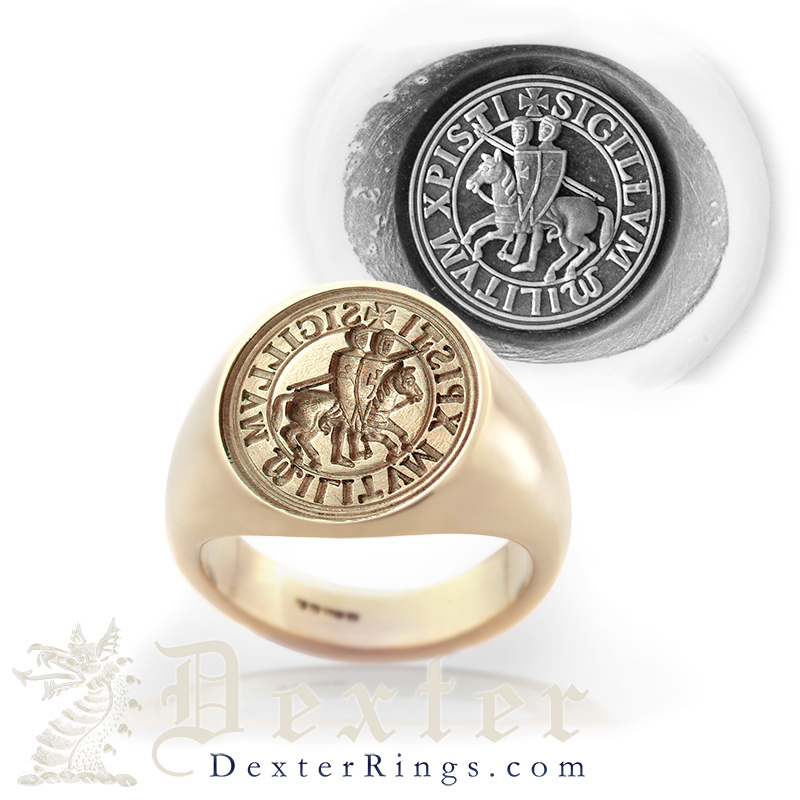 When you buy a Dexter signet ring you are acquiring a valuable family heirloom, unique to you. 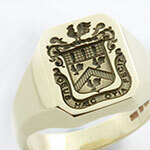 Although Dexter specialise in heraldic work, we also design and craft a wide variety of personalised designs. 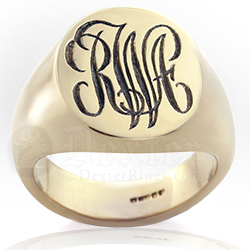 Dexter deep engraved products are not to be confused in any way with surface engraved rings, acid etched, laser engraved, or cast rings. 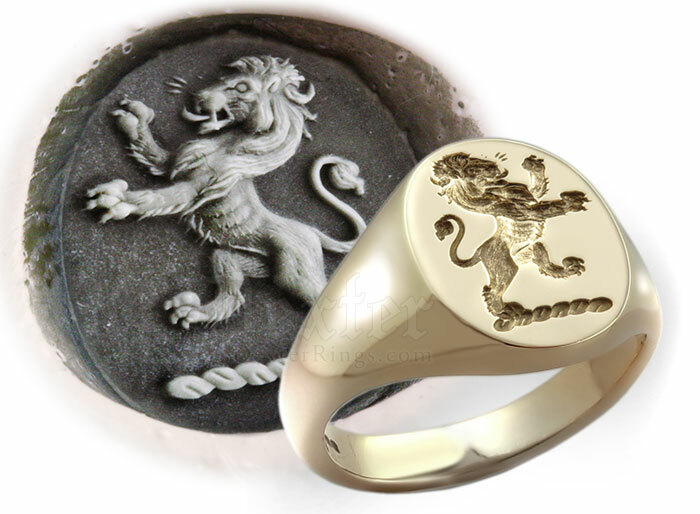 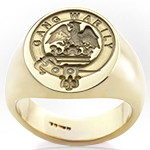 These products lack the integrity and pedigree of a traditionally crafted quality signet ring, they do not rely on the artistry of the crafting process and the skill of the craftsman involved. 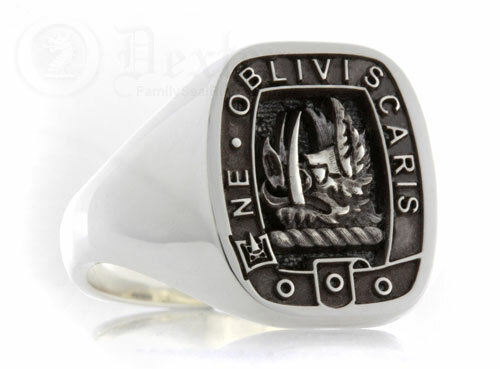 These rings will hold less value in years to come. 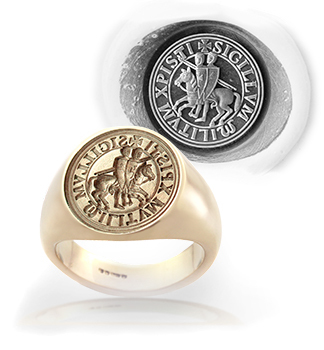 The Dexter signet ring: an item of exquisite timeless quality and a treasured genuine family heirloom.